This outfit includes loose black leggings (that go to the ankle), a short skirt, a plain white tee, a headband, and a string bag. So! The leggings I based off an American Girl doll pattern I found here. Despite the size difference between the two dolls, they fit my Kidz doll very well. The only change I would make in a future pair is adding more to the top, so that the waistband can be a little farther up on her belly. I extended the pant legs a few inches (the pattern was for below the knee leggings) and curve them in to follow the line of the doll’s calf. 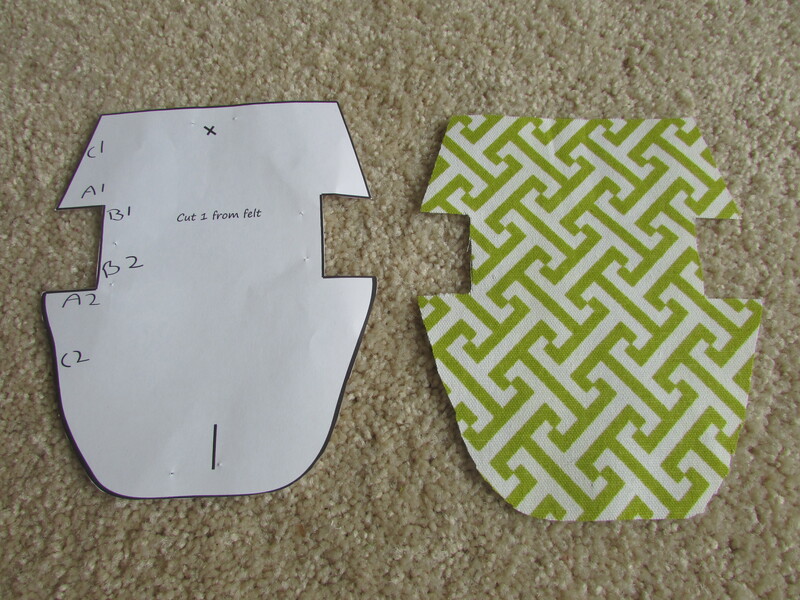 When I have the ability, I will scan and upload the pattern I made for the leggings. The skirt is an elastic tube a the top, and hemmed on the bottom. 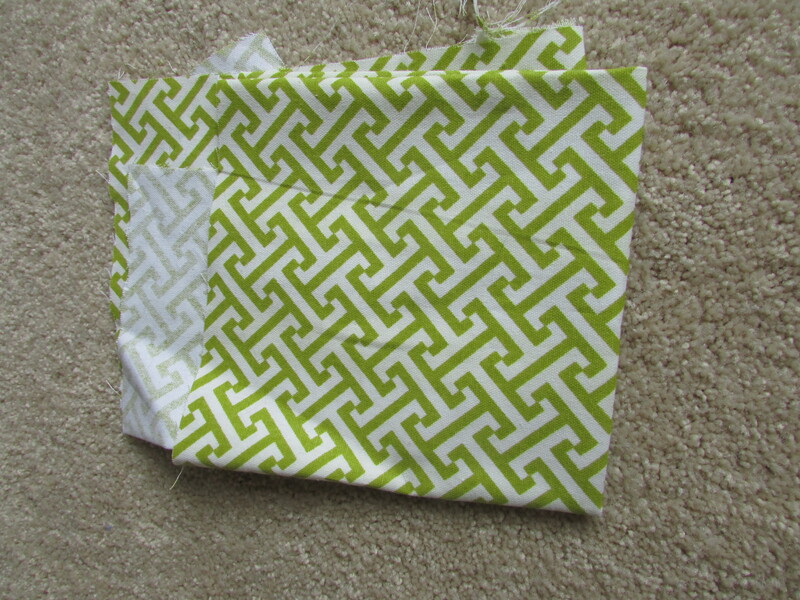 The fabric I used has sparkles on it, which I’m not sure are visible in the photos. For the headband I used a strip of cloth 10 1/2 inches by 2 inches. 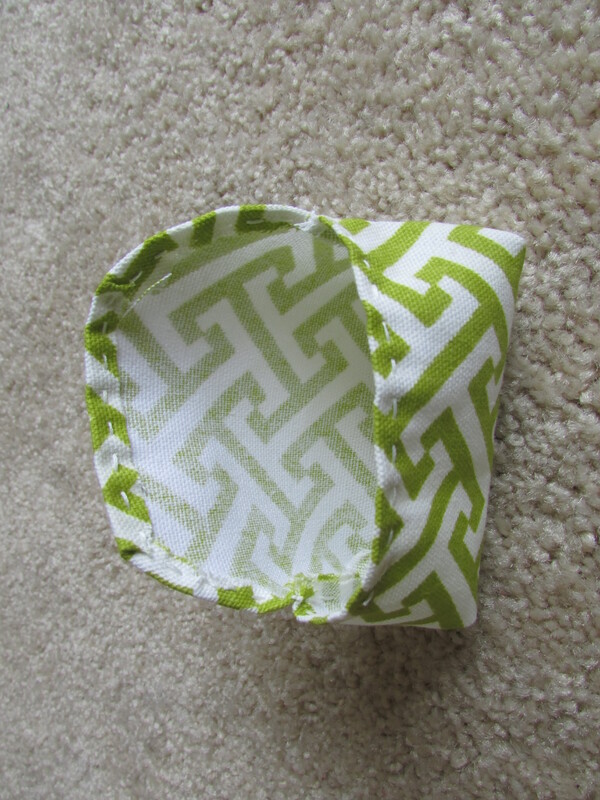 I made a tube, top stitched, and added 1 1/2 inch of elastic. If you would like detailed instructions on how to make it, go here. That’s the instructions I used, although once I had the measurements I did my own thing. The instructions that I linked do call for 2 1/2 inches of elastic, but the headband was too loose with that much elastic so I omitted an inch of it. Something to keep in mind. The shirt is this pattern here. 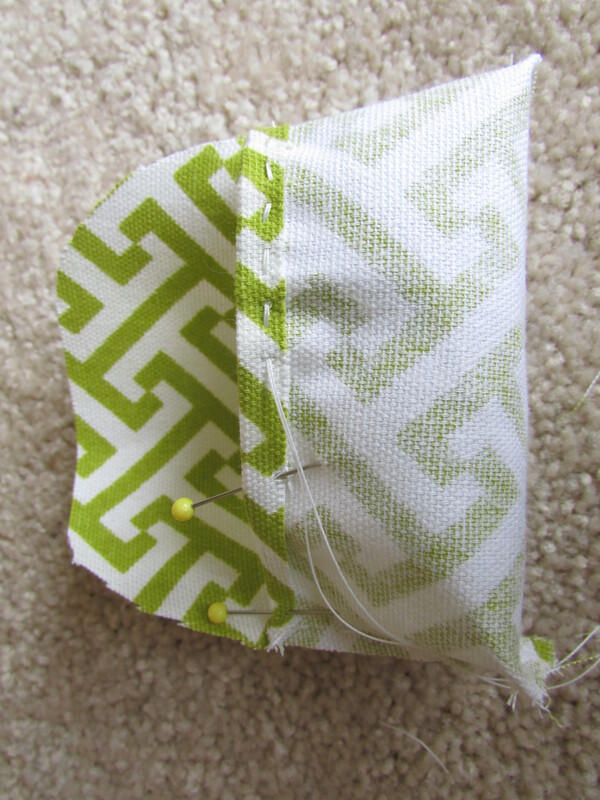 I use this t-shirt pattern most often because it’s free and easy. 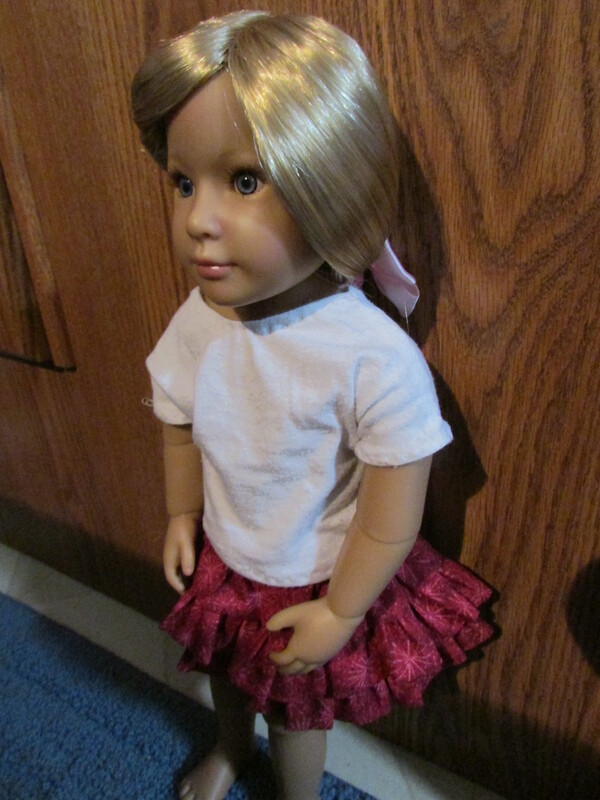 I already had this shirt made for my American Girl Doll. When I put it on my Kidz doll, it was rather loose so I changed a few things and took it in on the sides 1/4 inch. I think I may shorten the sleeves as well in the future. Lastly, the string bag. The pattern for it is on Doll it Up. 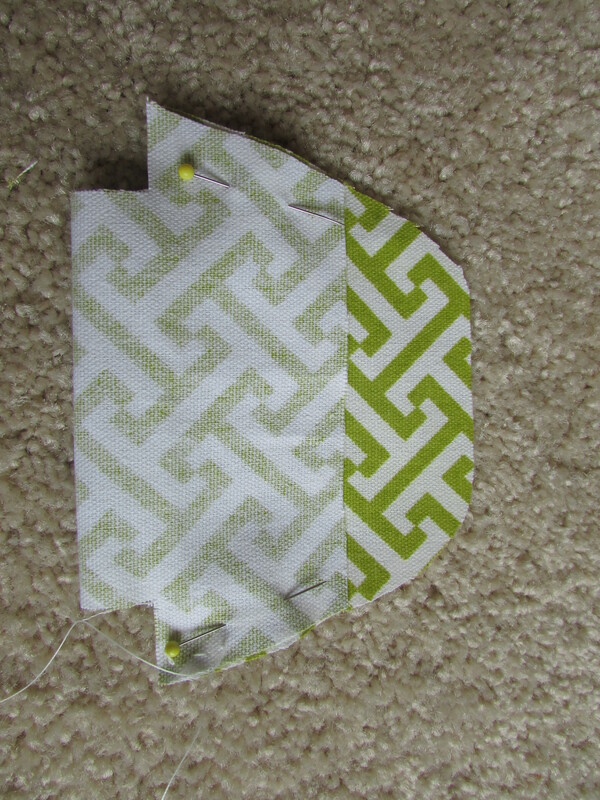 I printed a small Mickey Mouse head image and cut it out in corresponding fabric. It adds a nice little touch. I really like Disney, so whenever I have the chance, I throw something Disney into the outfits! My mistake for the bag: I made the braided straps too short. I originally made the bag for my AG doll, but the straps were too short making the bag too tight. Therefore, I gave it to my Kidz doll because she is smaller. 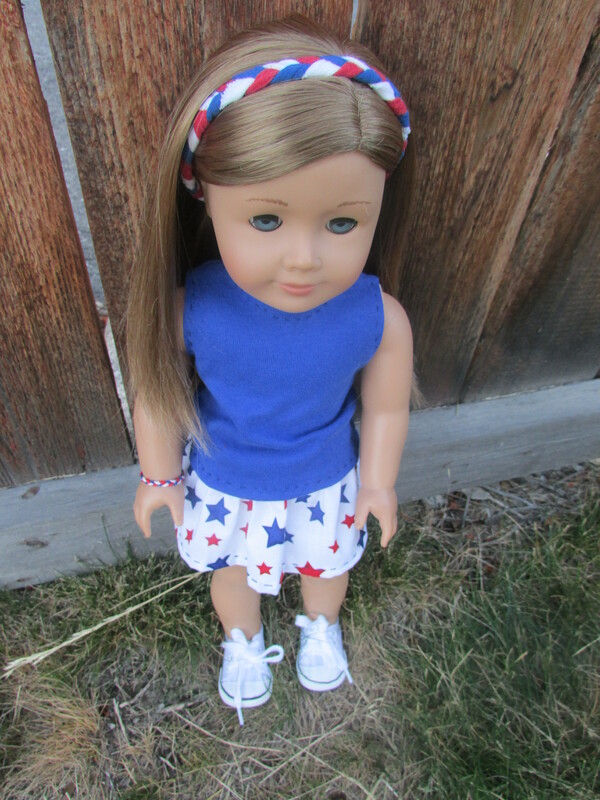 I will be making another one of these soon for my AG doll, this time I will make the straps long enough! 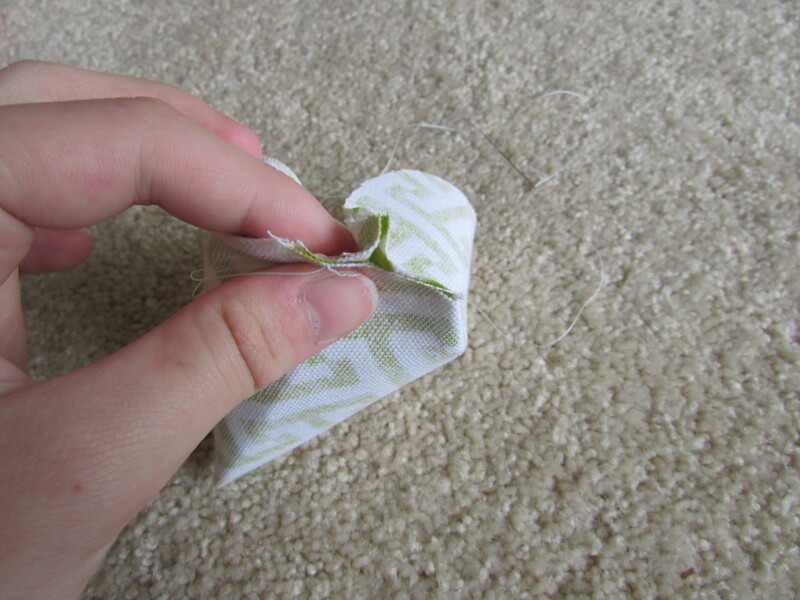 I’ve got a few things made up to post, including a doll sized string bag, and lots of ideas of more things to make. 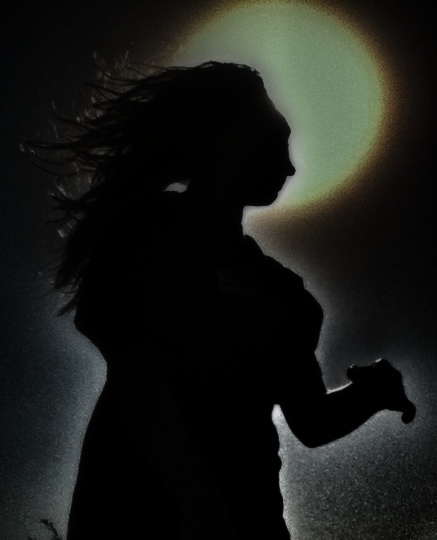 However, the amount of time that I have to shoot pictures and create the posts is a little limited right now, so as soon as I have time I will get posting. I found the pattern here for this bag. 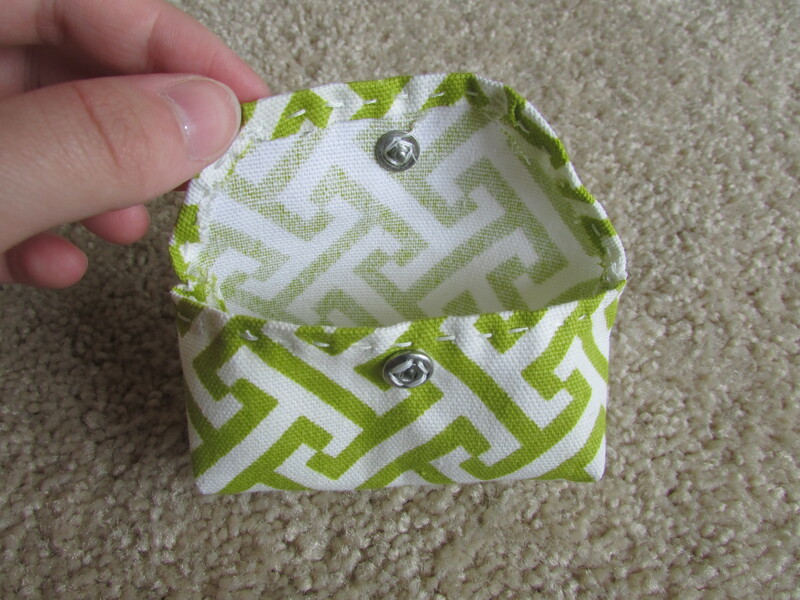 The directions on the post were rather vague, so I decided to take pictures and write out a tutorial for the pattern. 1. I used the leftovers of duck canvas that I had bought to make a string bag and fanny pack for myself. 4. 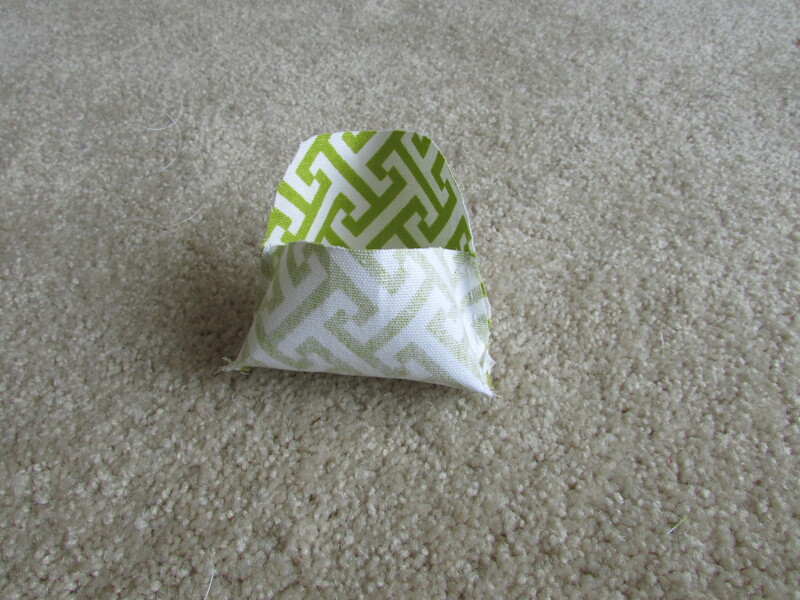 Fold up the bottom, and attempt to follow directions on the pattern. 5. Now you have the basic shape. 6. 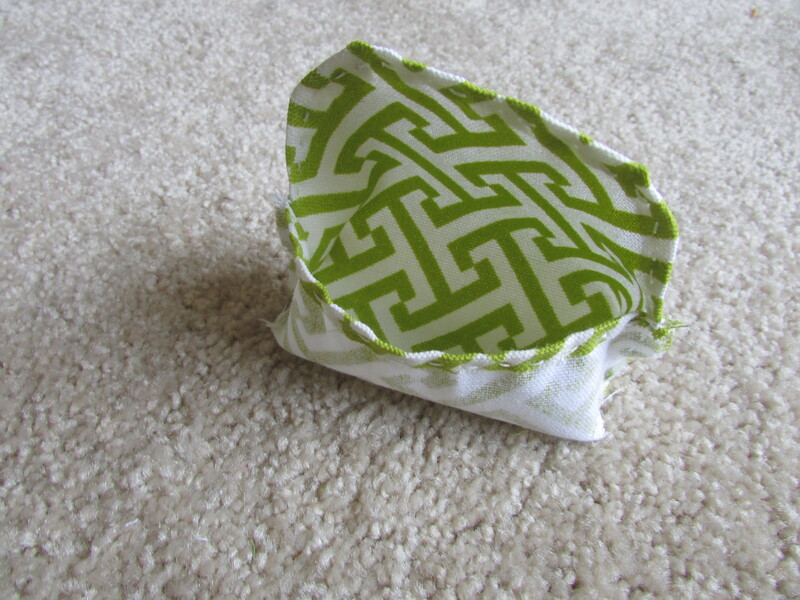 Fold over the edges and hem. 7. Turn the bag right side out. 8. Attach snap or other fastener. 9. 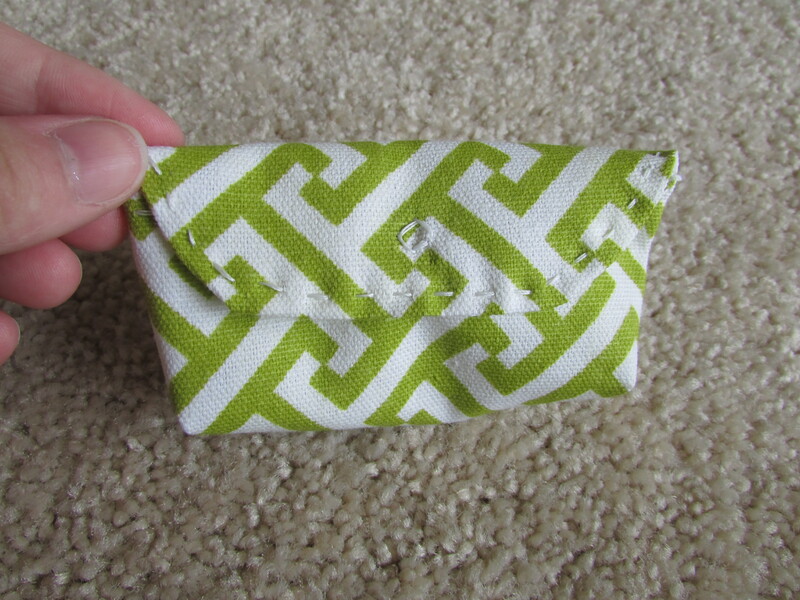 Cut a strip of fabric for the strap, fold over, sew, and inside out using a safety pin to get a tube. Top stitching is optional. 10. Attach the strap to the bag and you’ve finished! 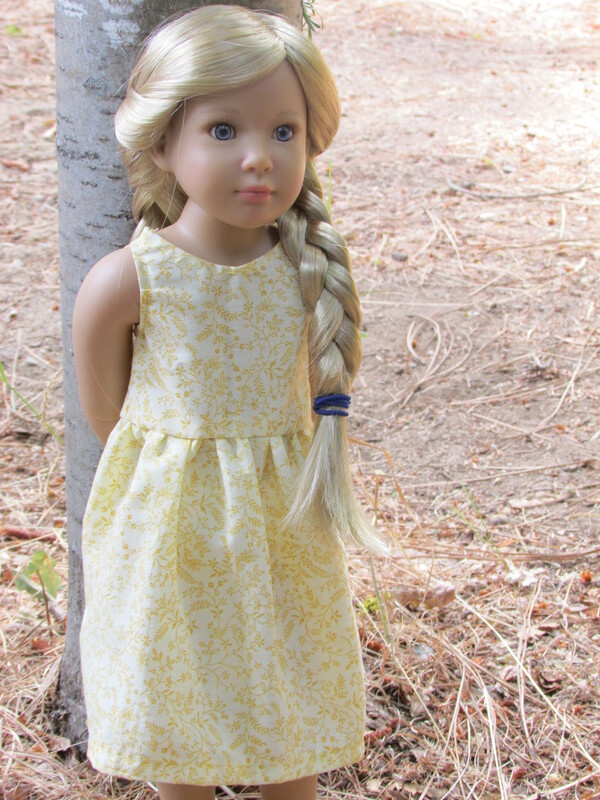 Here my new Kidz n Cats Sophie doll poses in front of a tree in her yellow dress. I got this pattern here (scroll to the bottom). Instead of doing the straps the way the pattern had them, I simply doubled over the pattern piece that included the strap and cut the cloth. It made it look like a less fancy dress. It was no problem to do. Also, Kidz n Cats patterns are really hard to find online, therefore, the top pattern could also work for a tank top pattern with minor altering… I plan on doing that hopefully soon. We’ll see what my schedule allows. 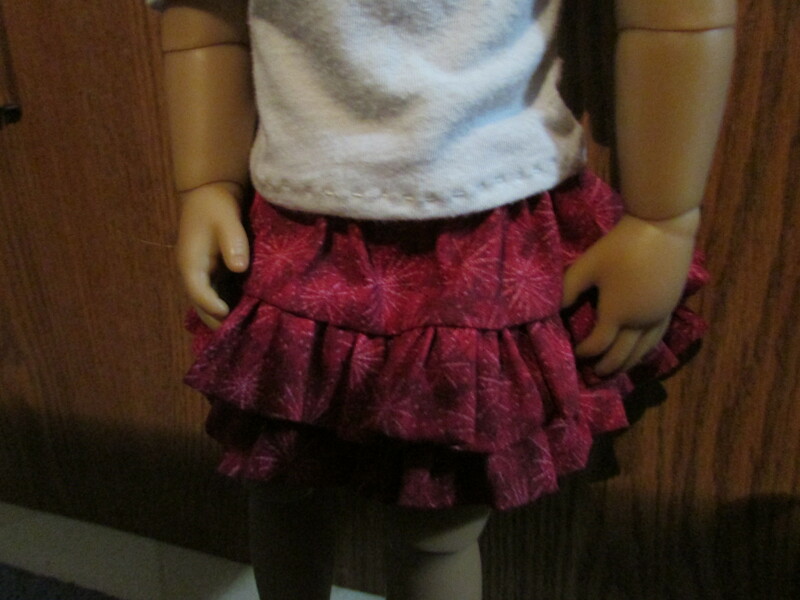 I also didn’t want the skirt to be too long, so I didn’t cut it as long as the pattern instructions ask. I attached the dress with snaps in the back (3 of them), because I didn’t want to take any chances with her hair getting stuck in Velcro. This post includes two skirts. 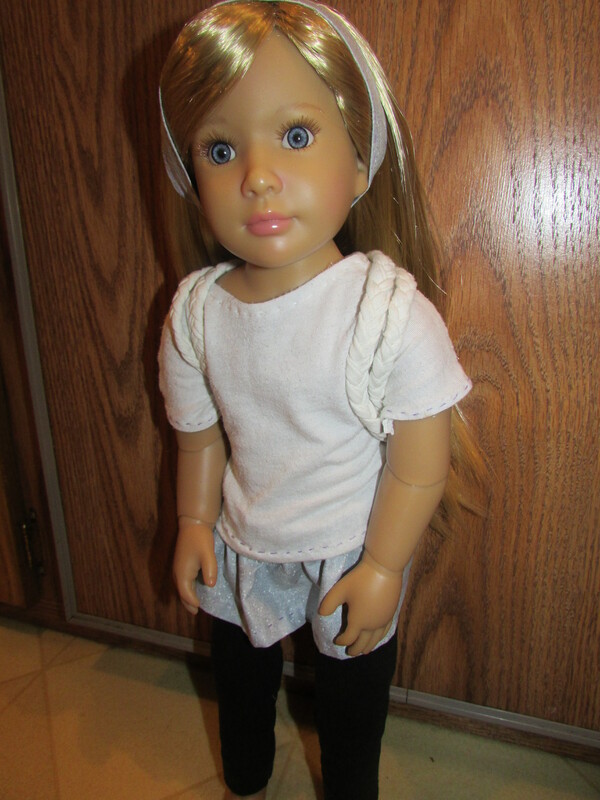 Since I recently got my Sophie Kidz n Cats doll, I don’t have too many articles of clothing made for her, so she is wearing the same white t-shirt with both skirts. The purple skirt is simply a skirt with a tube folded over at the top, and elastic strung through. I just made it so the doll would have something else to wear. The skirt is generally a rectangle 6″ by 20″ or so, with the elastic about 9″ or 9 1/2″. More Kidz n Cats up next! This a simple outfit, with a regular old elastic skirt, and a plain white t-shirt. I meant to put a picture on the shirt using iron on transfers, but my printer ran out of ink. The t-shirt pattern is from SimplySweetByb.com here. It’s free and easy. I use it in many outfits. I used fingernail stickers as stick on earrings. This outfit features pink cupcakes. I bought my doll some shoes, so now she can model outside! And, plus, it fits the 4th of July outfit. I bought the shoes on Amazon.com, in a four shoe package. The brand is Sophia’s. The package came with white tennis shoes (in this outfit), hot pink high tops, hot pink Crocs, and shiny purple flats with a flower. Each pair of shoes ended up being (including shipping) about $5. To make this tank top, I used the Liberty Jane Pattern here and left out the sleeves. 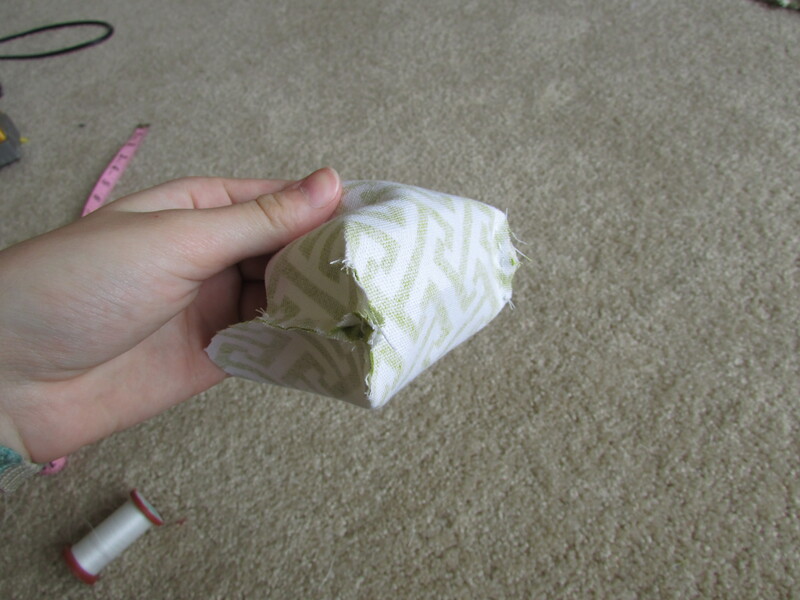 It is perfect, although it was very long on the bottom, so I folded over 3/4 when I hemmed it. It attaches in the back with Velcro. Someday if I get shiny appliques, I will make a star on the tank top, but for now it’s a blank blue tank top. I braided strips of t-shirt cotton to make the headband which attaches easily with a snap. The skirt is simply 20 x 6 inches of material (I used a portion of a quilting square), with an elastic tube at the top and the bottom hemmed. The bracelet is 6 strings of embroidery floss (2 of each color) braided. The ends tie. I fitted the length to the dolls wrist. Voila! 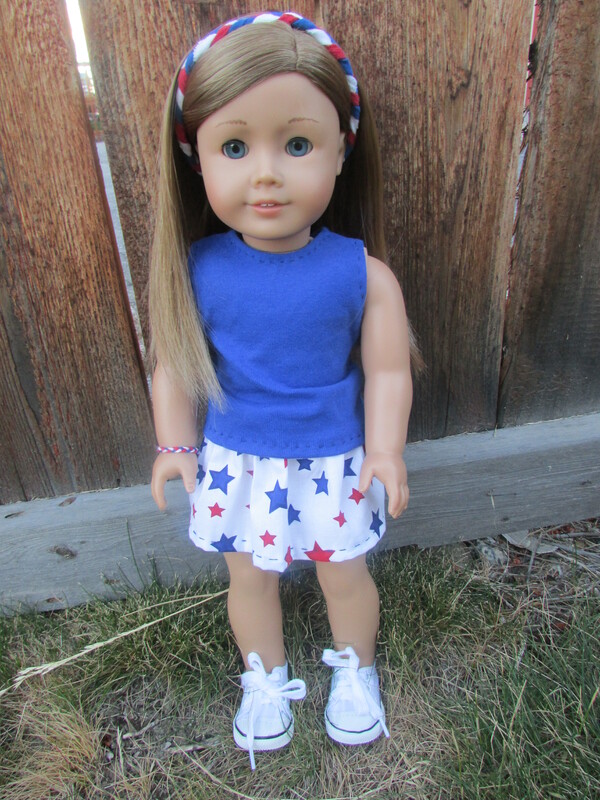 A 4th of July outfit!